It’s been twelve years since the dawn of the mobile era—a span where we’ve witnessed what can seem like a lifetime’s worth of digital innovation and new platforms. Apps. Voice-activated assistants. AR. VR. It’s an age of digital plenty, and one that can make it easy to forget a plain truth: the mobile web is still the most widely used platform. Because mobile is where most people turn when they want to know, go, do or buy, it’s important to deliver the kind of mobile experience that people expect today: one that’s fast, engaging and doesn’t get in the way of what they want to accomplish. 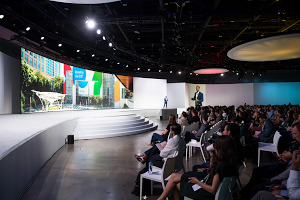 And because Google is deeply invested in the success of marketers and brands, we never stop looking for ways to develop and support new tools and innovations that can move the industry forward. With this in mind, today we're introducing two new updates: a top-to-bottom rebuild of Test My Site, and more availability and growth of Rich Communications Services (RCS) Business Messaging. One of the mobile era’s clearest lessons has been that the foundation for any great mobile experience is a fast mobile experience. How important is a fast mobile experience? According to SOASTA’s The State of Online Retail Performance, a one-second delay in mobile load times can impact conversion rate by up to 20%. That’s why in 2016 we created Test My Site, a tool for businesses to check the speed of individual mobile pages and get a few recommended fixes. But moving at the speed of mobile means making the adjustments needed to continuously improve. 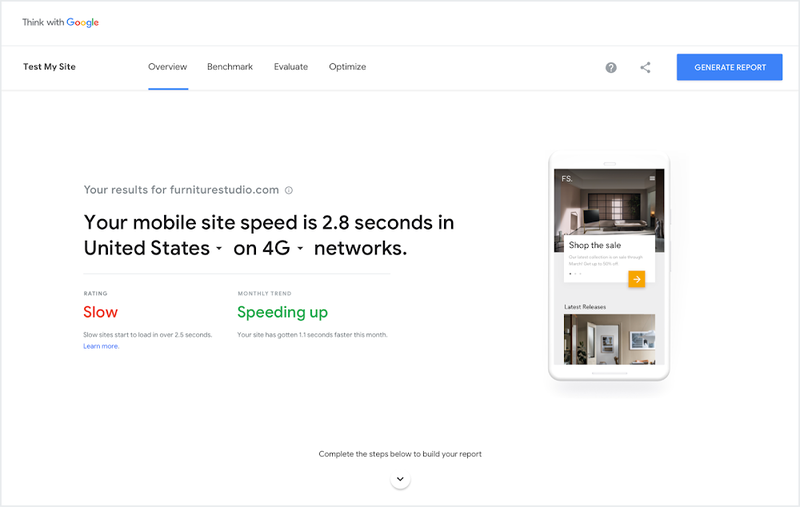 With the new Test My Site, businesses have a single destination to measure, benchmark and take action on mobile site speed—the first step toward a great mobile experience. Messaging is another area where businesses can improve the mobile experience. SMS, the format millions of businesses rely on today to reach mobile consumers, is limited to 160 characters and very few images and interactions. RCS upgrades SMS with branding, business verification, rich media, suggested replies and actions, and analytics. One of the traditional tradeoffs for rich messaging experiences has been slower loading, but with RCS, businesses can deliver fast, branded, interactive experiences right to a mobile phone’s default messaging app. Google is partnering with the mobile industry to modernize mobile messaging and deliver better consumer experiences with RCS. To learn more about RCS Business Messaging, visit our website. Brands are already using RCS in a variety of ways, from promoting deals of the day to letting customers refill prescriptions or check their account balances, all within the native messaging experience on Android. For example, with Overstock, customers can get purchase, shipping and delivery confirmation as well as the option to rate a purchase after delivery or connect directly with customer service. With Citi, select U.S. credit card and retail bank customers can quickly check their balance, see a short history of recent transactions and more. With Walgreens, patients receive prescription refill reminders and notifications for when orders are ready for pick up. And with Broxel, people can pay their utility bills, check their account balances, send funds or connect directly with customer service. DPD customers will soon be able to use RCS to get package delivery notifications with the option to update their drop off locations. And Vaillant customers will be able to change appointments, provide feedback, and connect with a live agent. All of these brands will enhance the customer's experience on mobile using RCS. In addition, many more brands in Europe will bring RCS experiences to their customers in the coming months. A lot has changed over the last 12 years, but one thing that hasn’t changed is mobile’s unmatched capacity to drive business growth. With Test My Site and RCS Business Messaging, businesses have two powerful tools to deliver the kinds of experiences necessary to drive that growth—at the speed of mobile.